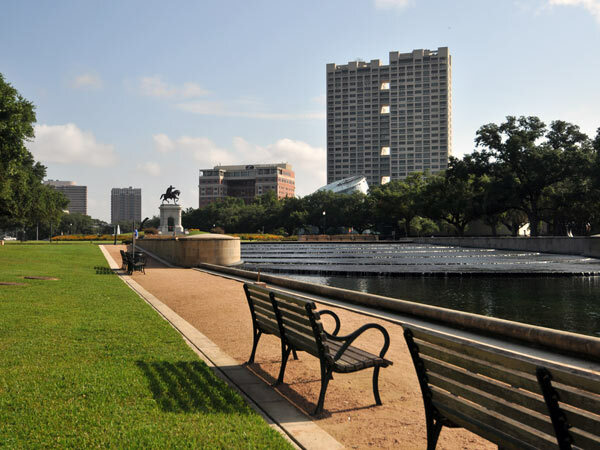 Spanning 445 acres within the city’s Museum District, the park is one of Houston’s most significant public green spaces. 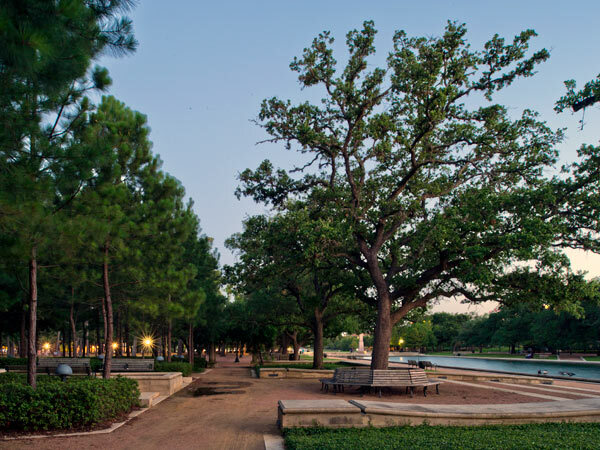 The park is situated on the banks of Brays Bayou and across Main Street from Rice University on land donated by Parks Commissioner George Hermann in 1914. Mayor H. Baldwin Rice, a champion of the City Beautiful Movement, retained George Kessler in 1916 to transform the flat, vacant site into a park. 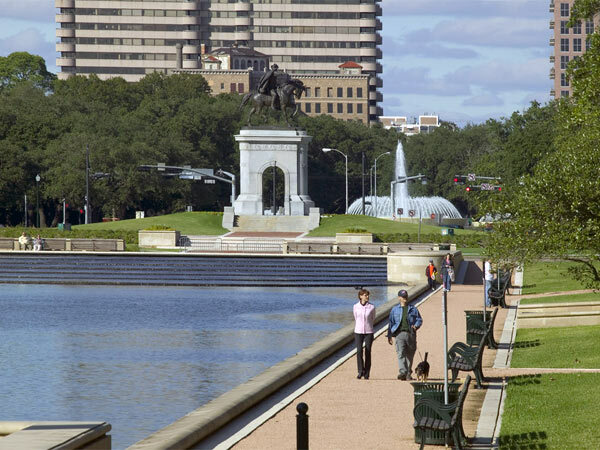 Kessler’s design incorporated diagonal boulevards flanked by allées of live oaks, oval athletic fields, an artificial lake called the Grand Basin, an outdoor theater, carriage trails and a golf course. 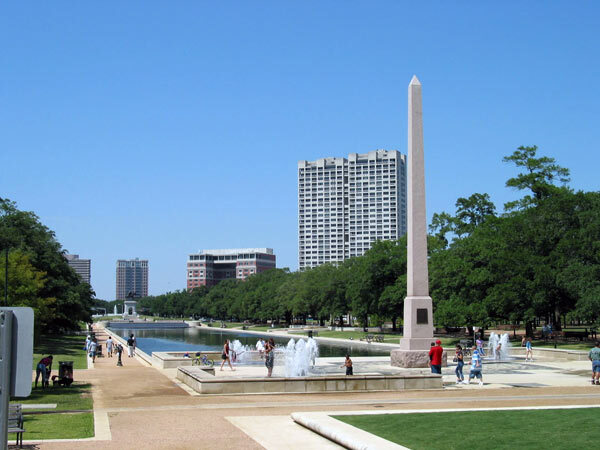 Kessler established the entrance to the park at the intersection of Main and Montrose Boulevards, adjacent to a landscaped traffic circle known as the Sunken Garden. When Kessler died suddenly in 1923, Hare & Hare took over as the managing landscape architects. They added a zoo and a botanical garden while maintaining the integrity of Kessler’s original vision for the landscape. 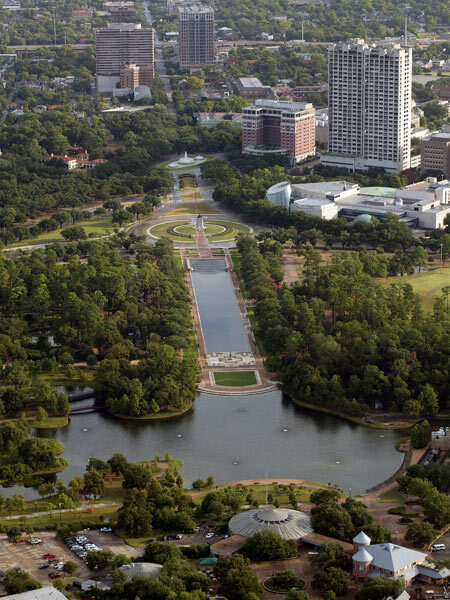 By the 1980s, Hermann Park was in poor condition. 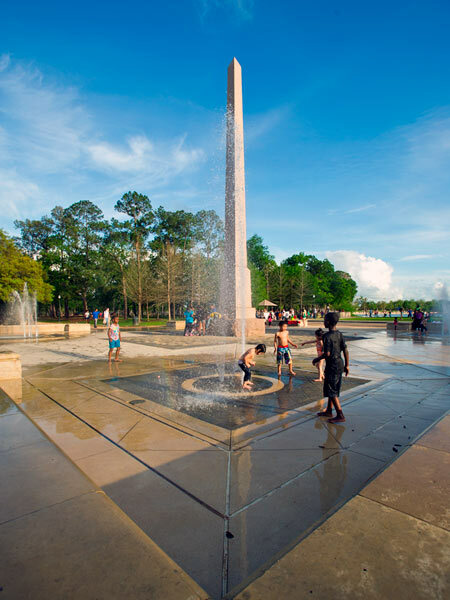 After a master plan by architect Charles Moore went unimplemented, the Heart of the Park design competition was instigated. In 1993, Hanna/Olin won the commission for the new master plan, which reinforced the historic core of the landscape while restructuring the pedestrian and vehicular circulation. 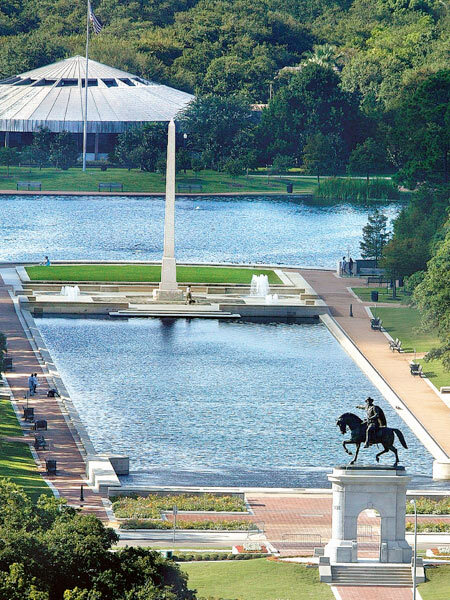 SWA Group also served as consultant on the revitalization project, focusing in particular on the renovation of the park’s central reflecting pool. 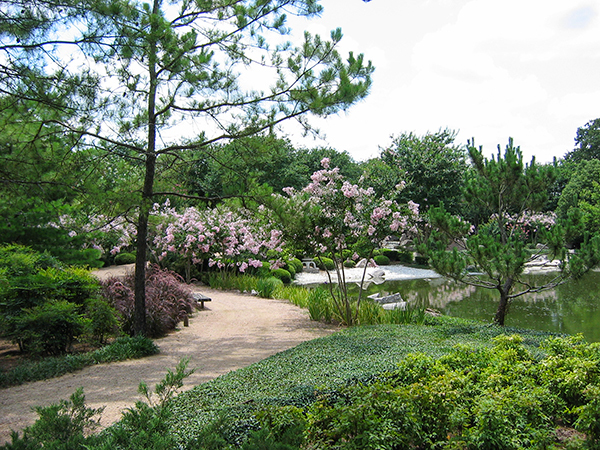 In 2005 SWA Group and Hanna/Olin received the Design Award of Excellence from the American Society of Landscape Architects. 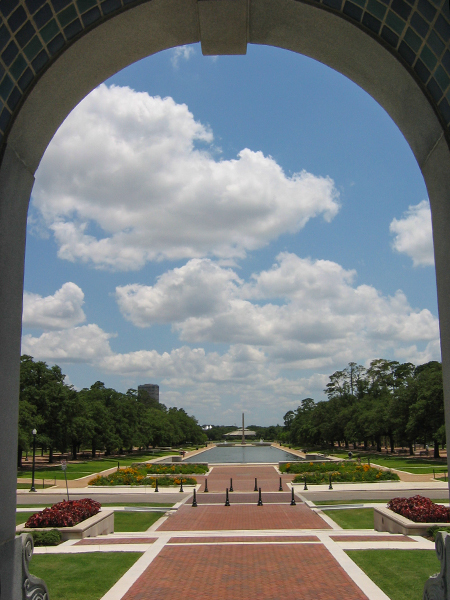 Today Hermann Park is managed by the Hermann Park Conservancy and the city’s parks department.